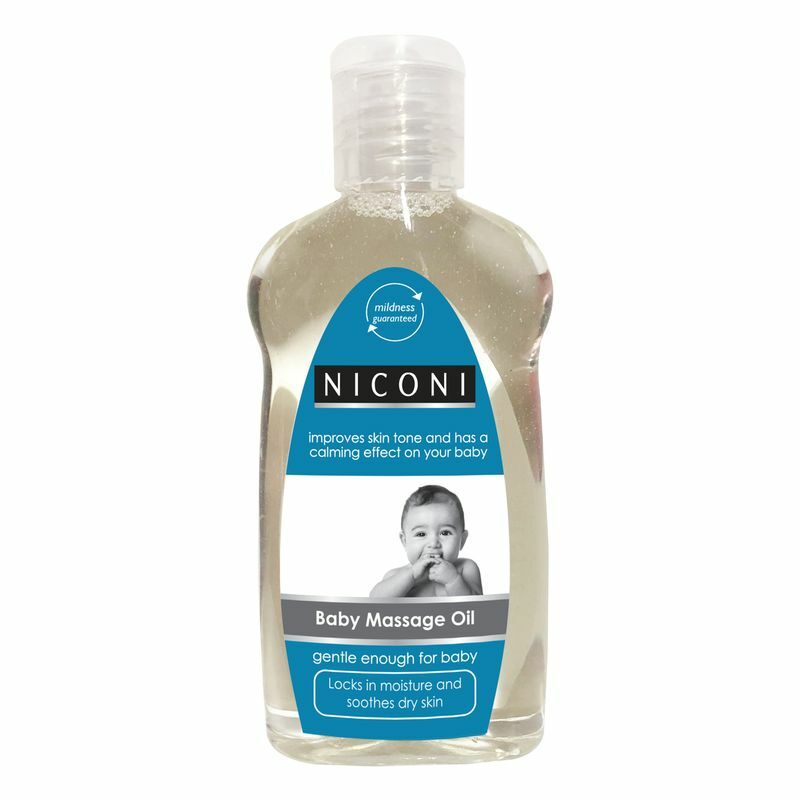 Give your little one the perfect massage he/she deserves with Niconi Massage Oil for Babies with Vitamin E. Niconi knows that the first emotional bonds of your baby are built from sheer touches. These small yet significant physical contacts will serve as a foundation stone for his/her emotional and intellectual development in the future. Specially formulated for babies, this oil would suit the newborns perfectly. Its gentle formula nourishes your baby's skin and makes it soft, smooth and supple. This pure mineral oil is non-sticky and comes with a mild fragrance that stays for a long time. It will surely make your baby feel safe and comfortable. Great for parent-baby bonding, this massage oil is clinically and dermatologically tested.